Earn you 749 reward points. 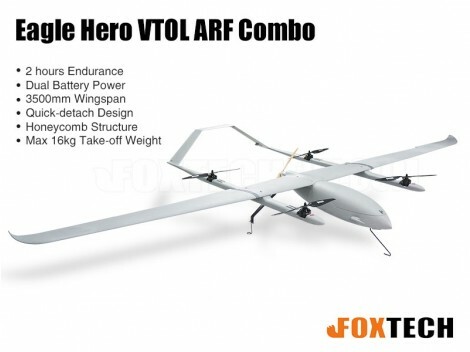 A new VTOL Eagle Hero is released! 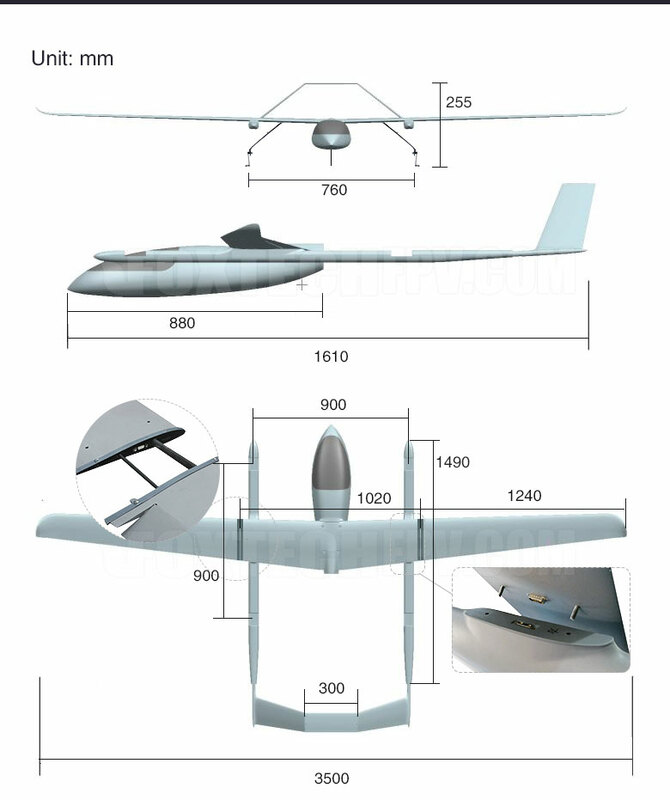 Eagle Hero is a big VTOL that has a 3500mm wingspan. 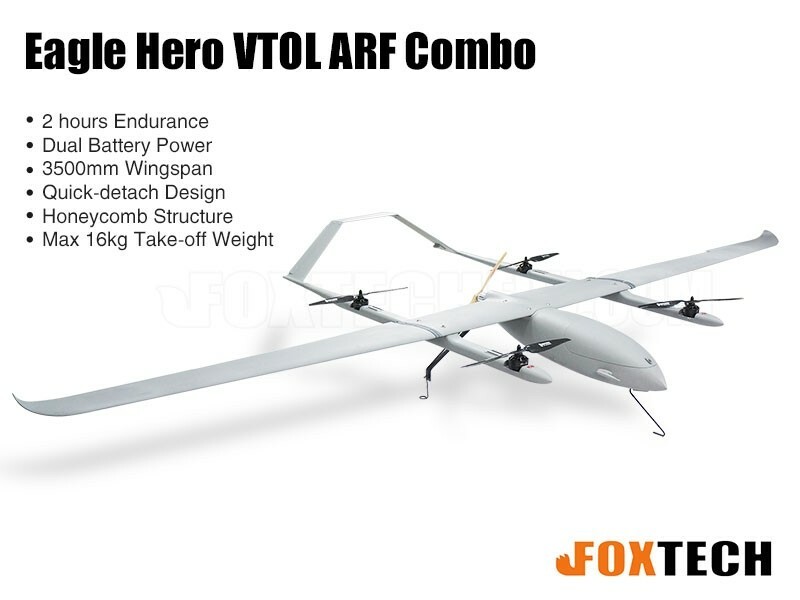 The Eagle Hero VTOL is made of full composite material and features a Honeycomb structure, which makes the VTOL both very light and strong. 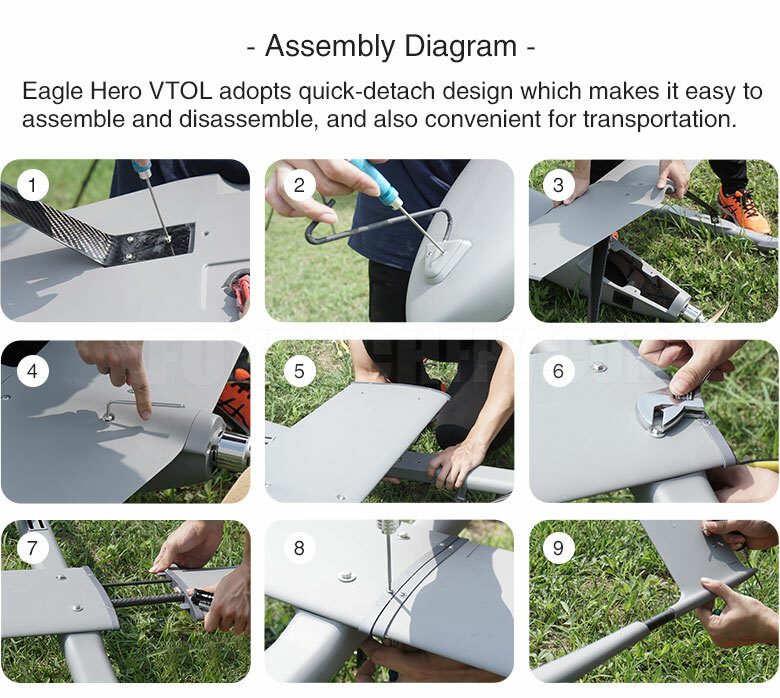 And the quick-detach design also makes it easy to assemble and disassemble in the field. 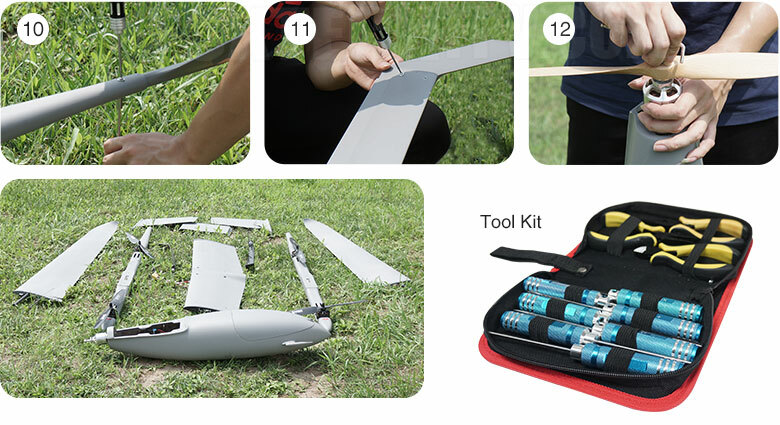 The Eagle Hero VTOL has a very big inner space for one 8S 8000mAh LiPo battery and one 6S 56000mAh Li-ion battery. 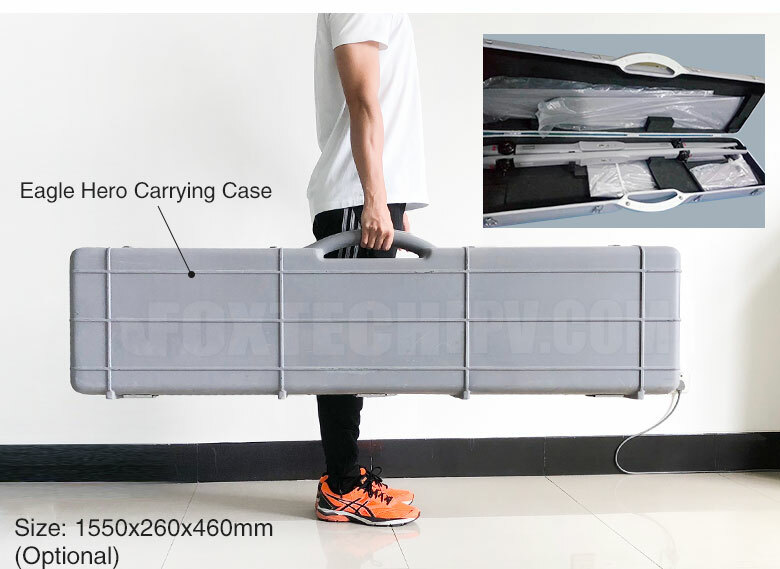 The 8000mAh LiPo is for the four lifting motors and the 56000mAh battery is for the push motor. 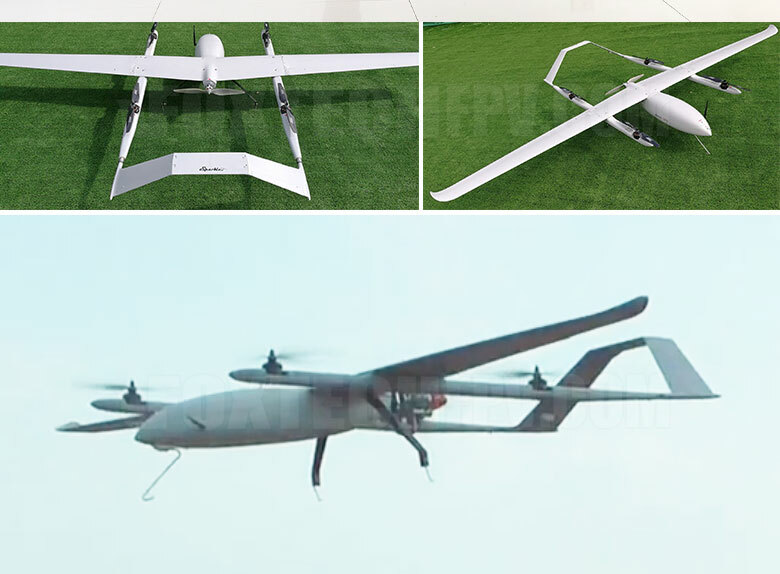 Take-off weight of this big VTOL is 9kg, so the Eagle Hero can fly at a high speed with very low power consumption. 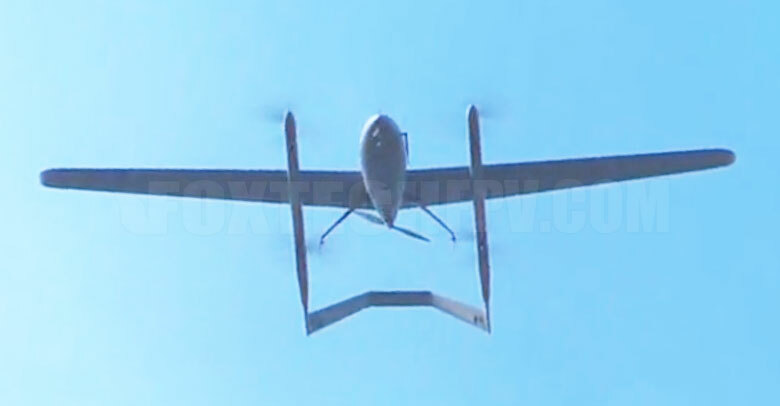 The max take-off weight of Eagle Hero is about 15kg, with 15kg weight the VTOL can reach 2 hours endurance. With 2 hours flight time it can cover a big area. 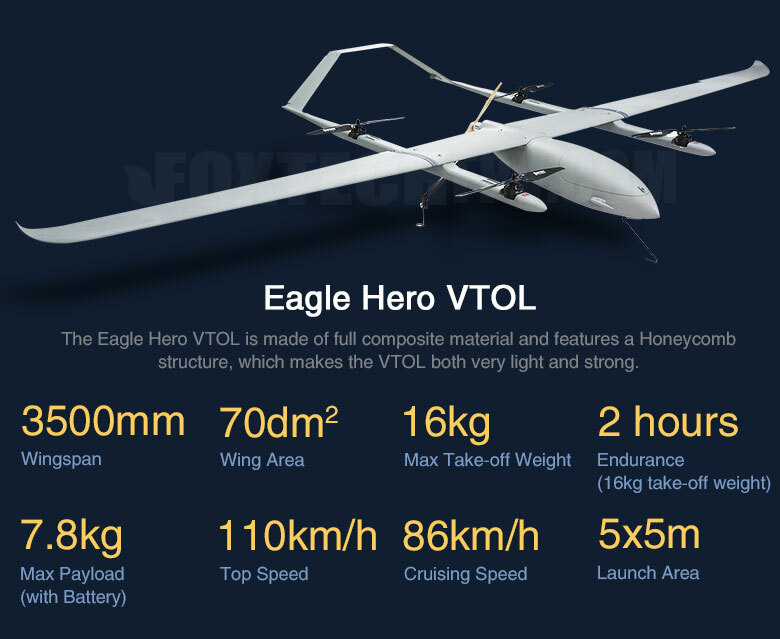 The Eagle Hero can fly at a very high speed, the highest speed is about 110km/h, and the cruising speed is about 20m/s. And it can launch directly from an area as small as 5x5m. 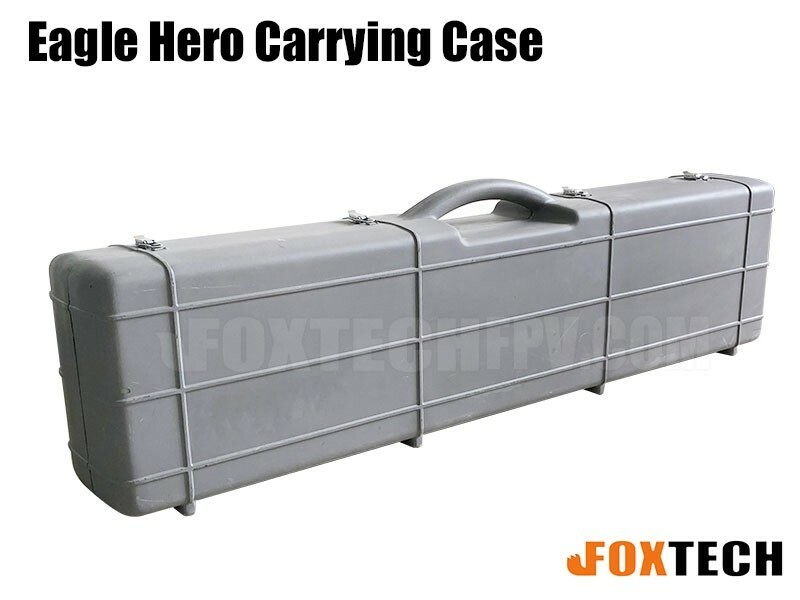 With a 1.5kg payload the Eagle Hero VTOL can load various zoom cameras like Foxtech series zoom cameras: optical zoom camera and infrared zoom camera. 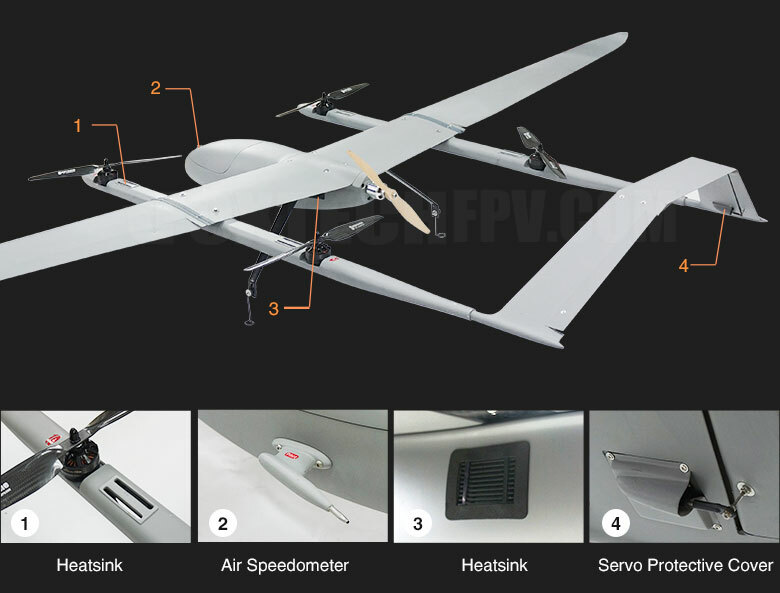 This aircraft can be equipped with advanced control system, rtk gps, ppk system to do mapping jobs at centimeter level; and also could load a zoom camera to do long range inspection coupled with long range video system and control system.